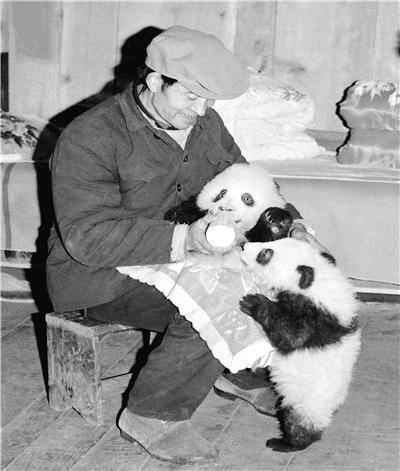 Li recalls, “Pan Pan was brought here that winter, only two months old. He lost his mother, looking spiritless, with discharge from the eyes, and his fur was yellowish. I wiped his eyes with a wet handkerchief — if his mother had been with him, she would have licked his eyes clean. At that time, I was taking care of another cub An An. And then both cubs lived in my small room with me”. The boys, loved wrestling with each other. Pan Pan, who was a little older than An An, was a bit of a bully. He would chase An An, rolling and wrestling with him around the room. Both were young; their teeth and claws couldn’t hurt each other. The cubs slept with Li at night, At night, on his single bed. Li in the middle, and and a panda at either side. They grew fast! One year passed, and they grew to about 35 kg. 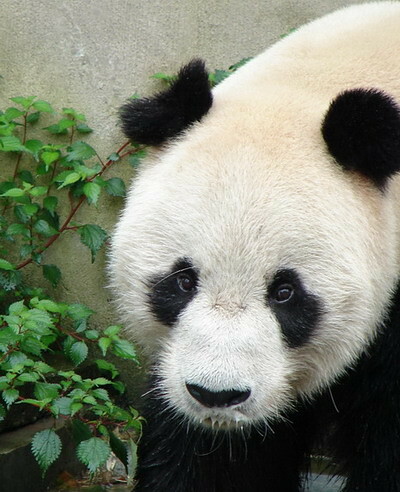 In 1990 An An went to Singapore, attracting hundreds of thousands visitors, and Pan Pan went to Wolong. 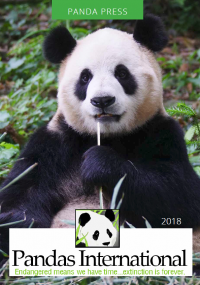 In 1987, Pan Pan starred in a movie called “Panda Story”. At that time he weighed over 50 kg, with glossy black and white fur. He was cute and very photogenic.